Scott Copeland had retired two of the first three batters in the fifth, allowing a single to the middle batter. But with two outs, the trouble came. Scott Copeland had retired two of the first three batters in the fifth, allowing a single to the middle batter. But with two outs, the trouble came. And when it was all said and done, the River Cats had put up five runs in the inning. They went on to win 7-3 on Saturday night at Cashman Field. Copeland allowed a walk and then a single, which cut the Las Vegas (69-69) lead to 3-2 at the time. Two runs then scored on a Dominic Smith error, which would have been the third out of the inning. And after a single and double in the fifth, the River Cats (55-83) had scored two more, making it 6-3. Copeland gave up six runs, but just two earned in his five innings. The Smith error in the fifth was one of two on the night for him on the night, marking a tough night for him. Smith, a first baseman, has just started playing the outfield this year. The 51s had taken their first — and only — lead of the game in the bottom of the fourth inning on a Christian Colon three-run blast. That was all they could manage, despite eight hits in the game. Alonso had a pair of doubles while Patrick Kivlehan and Jose Lobaton each also had two hits in the game. 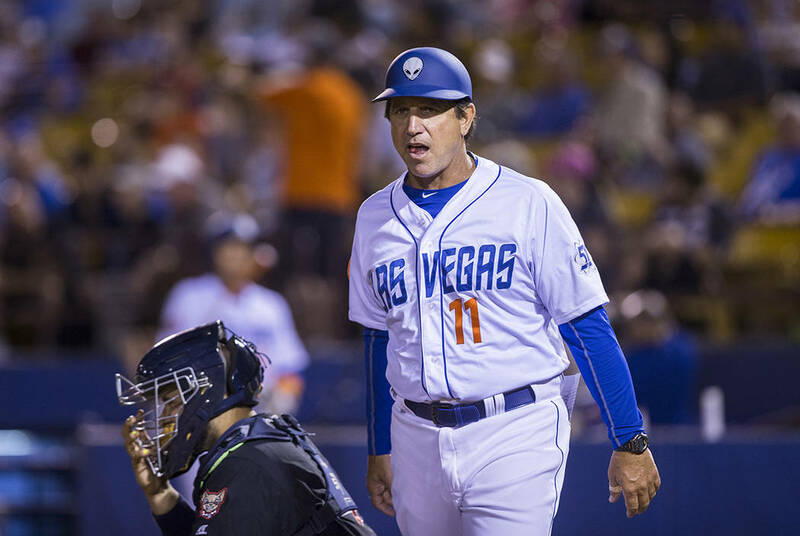 But the 51s couldn’t capitalize on many of their chances, finishing 1-for-11 with runners in scoring position and leaving 10 on base in the loss. The loss bumped the 51s back down to .500 with two games remaining in the season.